I set myself the challenge of reaching Moonglade on Kalimdor. 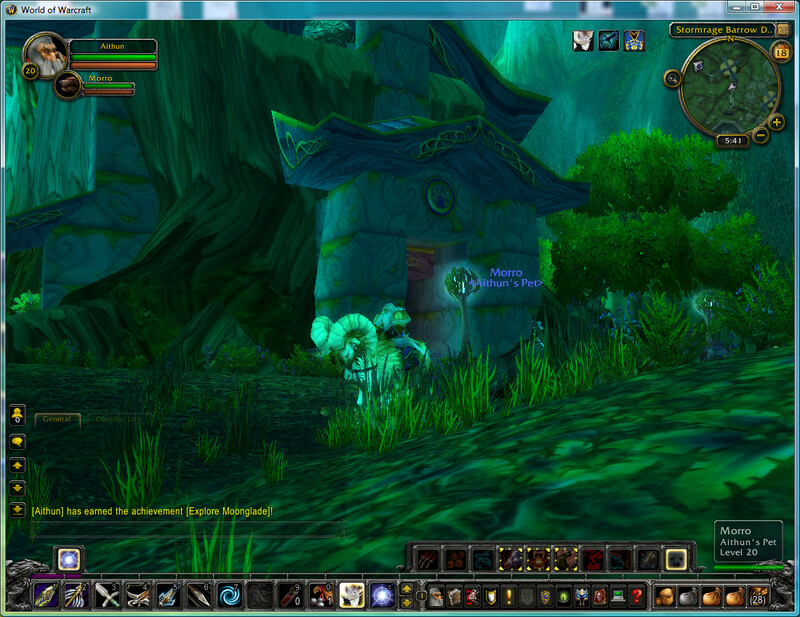 For my main objective… I was travelling onwards from Darkshore by hippogryph to Moonglade. By exploring I got the “Explore Moonglade” achievement. Explored around the areas nearby to open up more flight routes, including finding my first neutral flight location. Travelling via Darkshore and its Hippogryph flight route, I thought I would stop off and see the “Maw of the Void” whirlpool, which is sucking water from the seas into itself. Impressive. Made a note to come back for an interesting quest started by jumping into the whirlpool! 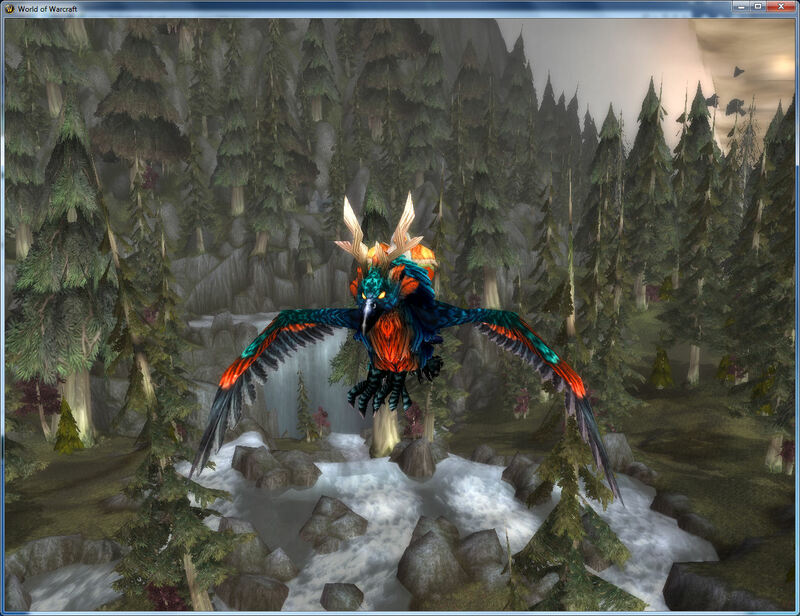 I have just noted, through the helpful WoW log-on tool tips, that /Z toggles on and off the user interface elements to allow for a cleaner snapshot to be taken for a full screen snapshot or for a window snapshot.